This cavalry regiment was raised in 1689. It went on to serve in many British Army campaigns until 1958, when it merged with the 3rd Hussars to form The Queen’s Own Hussars. In 1689, the Scottish army raised 12 independent cavalry troops. A year later, half of these were merged into a single regiment on the English establishment for policing duties in Scotland. 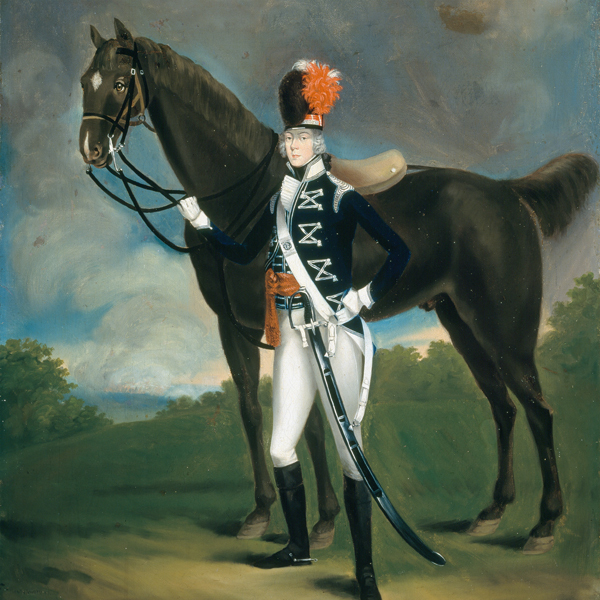 This new unit was named the Queen’s Own Regiment of Dragoons after Queen Mary II, who had recently seized the throne from her father, King James II. The regiment’s first 25 years included two deployments to the Low Countries and ten years on the Scottish establishment. It was disbanded for ten months between April 1714 and February 1715, before facing the Jacobite rebels at Sherrifmuir nine months after its re-formation. 1715 also saw the unit renamed ‘The Princess of Wales’s Own’ after Caroline, consort of the future King George II. However, it returned to being ‘The Queen’s Own’ in 1727, when George acceded to the throne. After 27 years out of action, the regiment re-mobilised in 1742, charging at both Dettingen and Fontenoy during the War of the Austrian Succession (1740-48). 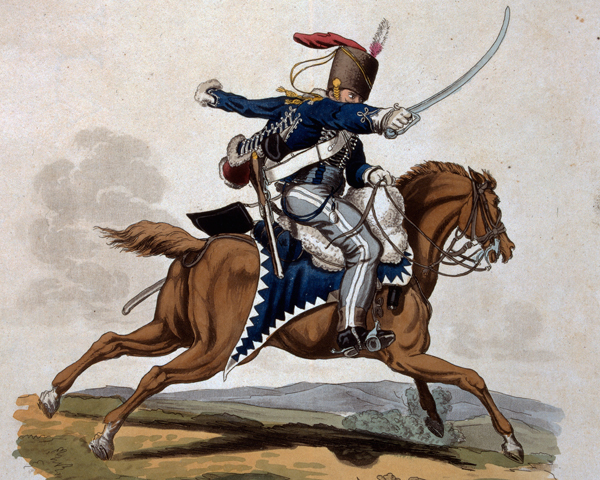 In 1751, it was formally titled as the 7th (The Queen's Own) Regiment of Dragoons. It moved back to Scotland in 1756, adding a light troop, which was used in the late 1750s in raids on northern French ports during the Seven Years War (1756-63). The regiment as a whole fought at Warburg in 1760, before entering another 30 years’ home service. During the French Revolutionary Wars (1793-1802), it deployed to the Netherlands in 1794, successfully charging the enemy at the battles of Beaumont and Willems in April-May of that year. In 1801, Henry Paget, 1st Marquess of Anglesey, became the regiment’s colonel. He remained in the role until 1842, even after losing a leg at Waterloo (1815). Paget also gained the regiment the title of hussars in 1807, making them only the second British unit to receive that honour. 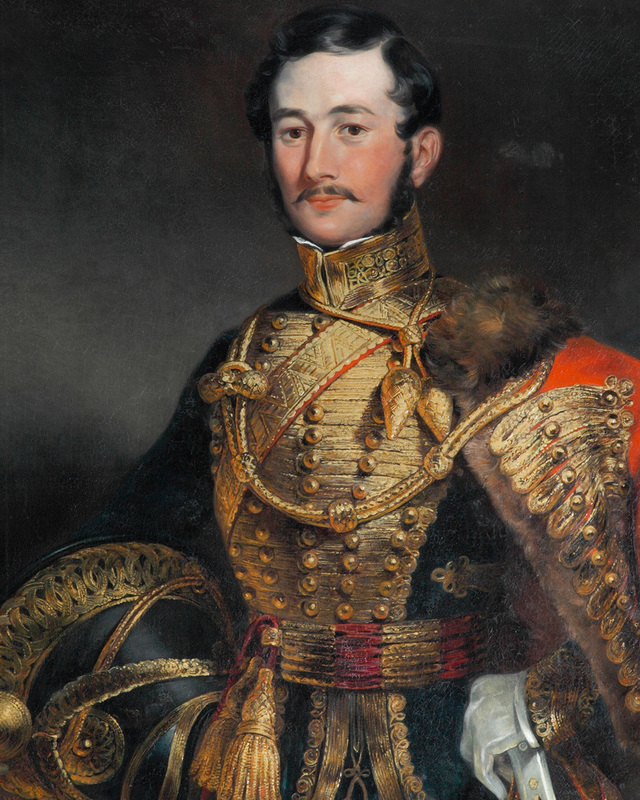 The regiment served in Spain in 1808 and 1813-14, spending the interim recruiting after severe losses. It was also heavily engaged at Waterloo (1815), charging more than 12 times in four hours and losing 64 killed and 120 wounded. It then saw no more action until the Indian Mutiny (1857-59), where it took part in the final capture of Lucknow in March 1858. It remained in India until 1871. The 7th Hussars spent the next 46 years in England and South Africa, along with a total of 18 years in India. 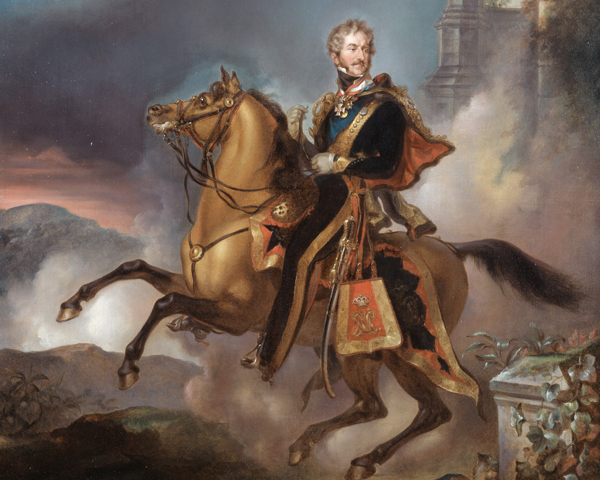 Which of the following was one of the nicknames of the 7th Queen's Own Hussars? The nickname 'Saucy Seventh' is said to have originated from its officers' smartness, ornate uniforms and reputation in high society. During the First World War (1914-18) the regiment served in India and, from 1917, in Mesopotamia. There, it took part in the action of Khan Baghdadi in March 1918 and the Battle of Sharqat in October 1918. 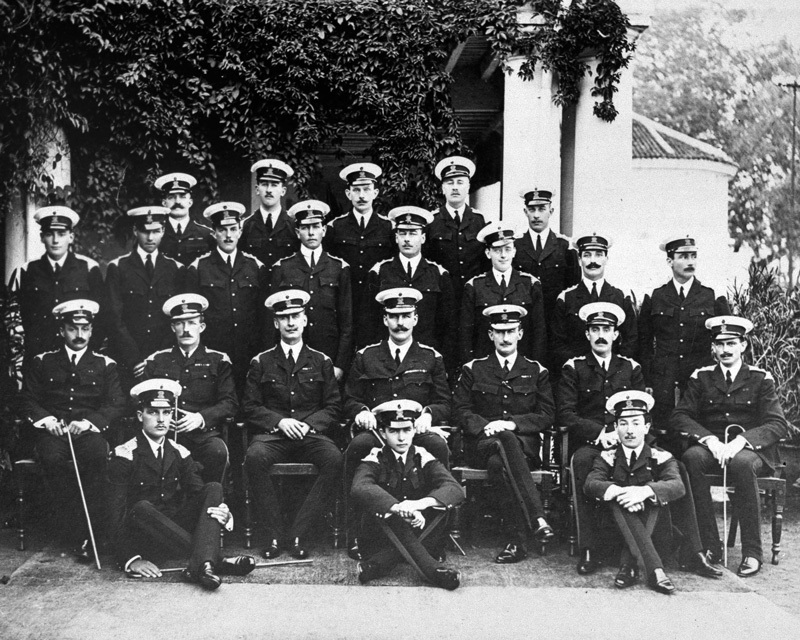 The unit remained in the region on occupation duties until May 1919. The inter-war years saw it in India, England and Egypt. During this period, it also mechanised as a tank unit in 1937. Its Second World War (1939-45) service began in North Africa. It was there from 1940 to 1942, and took part in the battles of Sidi Barrani (December 1940), Bardia (January 1941) and Sidi Rezegh (November 1941). In January 1942, the regiment was sent to Burma where it helped cover the Allied retreat, fighting the last 150 miles as infantry after having to destroy its tanks. It then re-equipped in Egypt before fighting alongside 2nd Polish Corps in Italy for the last two years of the war, for which it gained the honour of wearing the crest of the city of Warsaw on its sleeve. It served as occupation troops in Germany twice during the late 1940s, before becoming the first armoured unit to deploy to Hong Kong in 1954. It kept order there during the 1956 riots and returned to Britain in 1957. A year later it amalgamated with the 3rd The King's Own Hussars to form The Queen's Own Hussars. 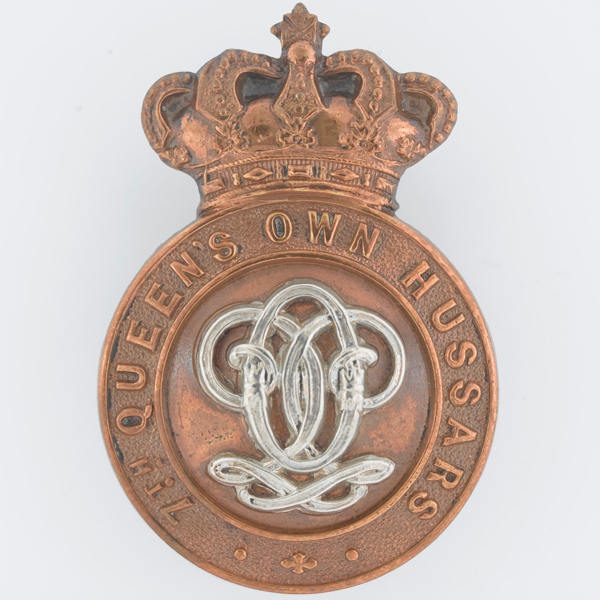 Explore the history and collections of the 7th Queen's Own Hussars by visiting the Queen's Royal Hussars Museum.